We took the test a few days ago, I got the score of 9 out of 10. The header image shows the ﬁrst question of the test, what is your answer? Easy access to clean water in developed countries is one of the many luxuries we enjoy. Often considered as a given, over-consumption happens easily. When I spent my early childhood in Hong Kong, there were several drought years which the government imposed water rationing as a conservation measure. I remembered when the water department allowed the free-ﬂow of water in a short amount of time each day, our family had to use multiple containers to store up the water for usage. There were also times when the authorities would divert the water to a few public faucets in neighborhood streets, thus households would mobilize all available members young and old to line up at the faucets to wait for the turn. When we did have water, it’s precious. We limited the washing as much as we can, and we reused the available water multiple times in small portions. At the end of the water’s domestic life-cycle our family always use the spent water to ﬂush the toilet. Part of the team’s preparation for the trip was immunization and using sanitation methods—by boiling, disinfection with iodine or chlorine, and buying bottled water—to avoid water-borne diseases. We are glad to discovered the water supply at Kachele Farm is pressurized and sanitized for drinking. Instead of buying water at the local markets we brought enough water with us when we were aﬁeld. Our service activities at the Zimba and Mwaiseni communities involve going with the local care workers on “Holy Home Visits.” I was partnered with Kafwa—AKA Suzette—on several of the visits, and one of our assisting tasks was to fetch water for the families. Both communities do not have running-water, instead the water source is from ground wells located at a distance away from the homes. 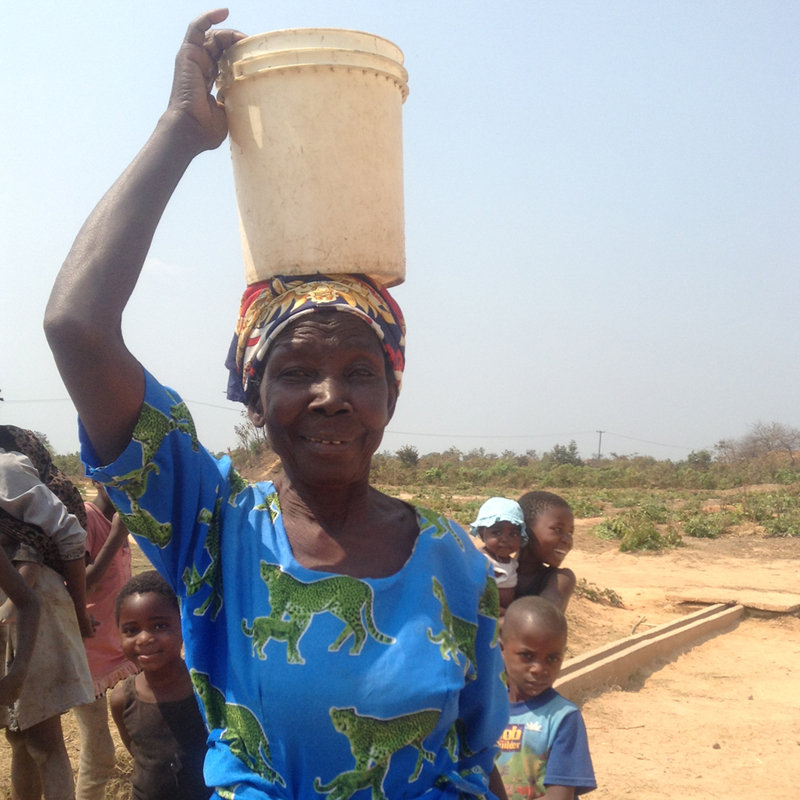 In Zimba, the well water we used was public and free, drawn by a pump with a hand-cranked lever. Another public well is in a court yard between a handful of dwellings, drawn by hand. Although the well in Mwaiseni is by the side of a public path, it is claimed by a family who lives next to it. Operated by an electronic pump with the ﬂip of a switch, the family sold the water for about 3 USD per container. The Zimba and Mwaiseni locals made the retrieval from the wall and the delivery of water look easy, they did not break a sweat even under the noon sun. When Kafwa and I fetched water for the families we realized water does not come easily, it takes a lot of strength and elbow grease to do so. By this experience I am also reminded of the story of the Samaritan woman and her encounter with Jesus by Jacob’s well. In those times and in the culture—similar to what we do at the ofﬁce’s water fountain—drawing water at the community well was a social highlight of a woman’s day. Yet instead of drawing water at a decent hour and with a group, this woman went solo at noon because she was marked as an immoral person by her own people. She was an outcast and looked down upon by others, yet Jesus approached her to start a conversation. He shown her and us that he values and loves us regardless of our brokenness, he is the Savior, and all the people who put their lives upon him will have a spring of water welling up to eternal life. Water is life’s necessity, other beverages are bonuses. My choice has always been beer, Coca-Cola, and strong coffee. 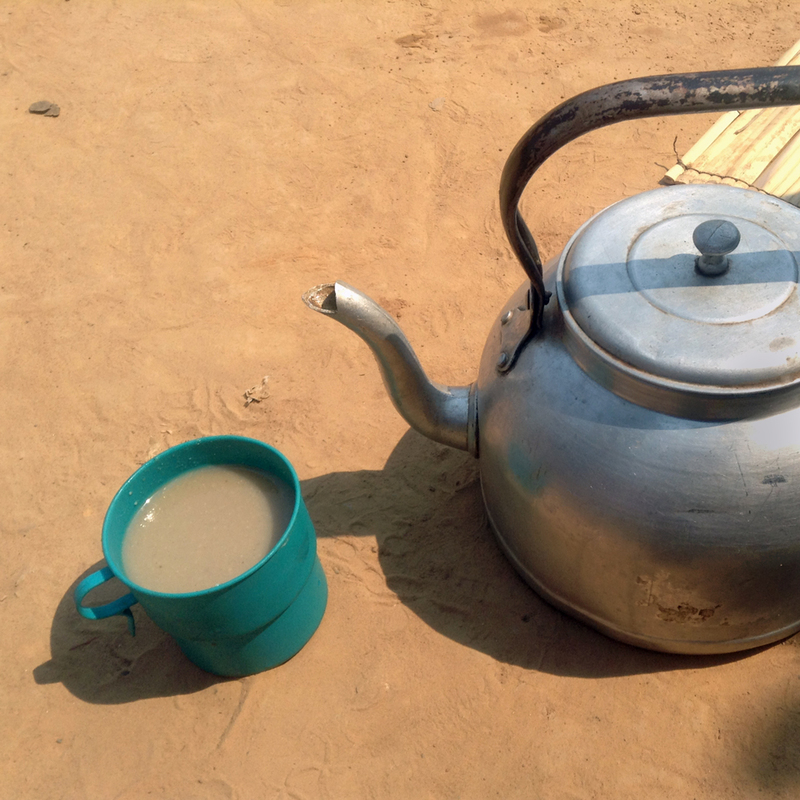 From one of the holy home visits, the family offered a home brewed traditional drink called Munkoyo. Pronounced moon-lo-yo it is a mildly fermented indigenous drink popular in the Copperbelt Province of Zambia. It is made from pounded dried Munkoyo roots mixed with bits of maize, added to water, then brought to a boil. The resulting liquid is sifted through a sieve to separate the root pulp from the remaining liquid. Discovered the liquid is then stored in large gourds made from squashes grown speciﬁcally for this purpose. The mixture can be drunk immediately after it is made or allowed to ferment for several days. Munkoyo is also a major beverage consumed during special traditional ceremonies. Its texture is slightly ﬁrm and gritty, with a mildly tart favor similar to Latin-America Horchata mixed with apple and kale juice. It’s love at ﬁrst taste, from then on I have added Munkoyo on the favorite beverages list. Munkoyo being served at a holy home visit, Zimba. Lunch at The Mint Café most of our team ordered mango based slurpees to pair with the food. Of course I ordered a cappuccino. Our host Adam ordered one too. After the server took our beverage order, Adam commented that whenever he orders a cappuccino The Mint’s servers always give him the cup with a poured heart on the foam. 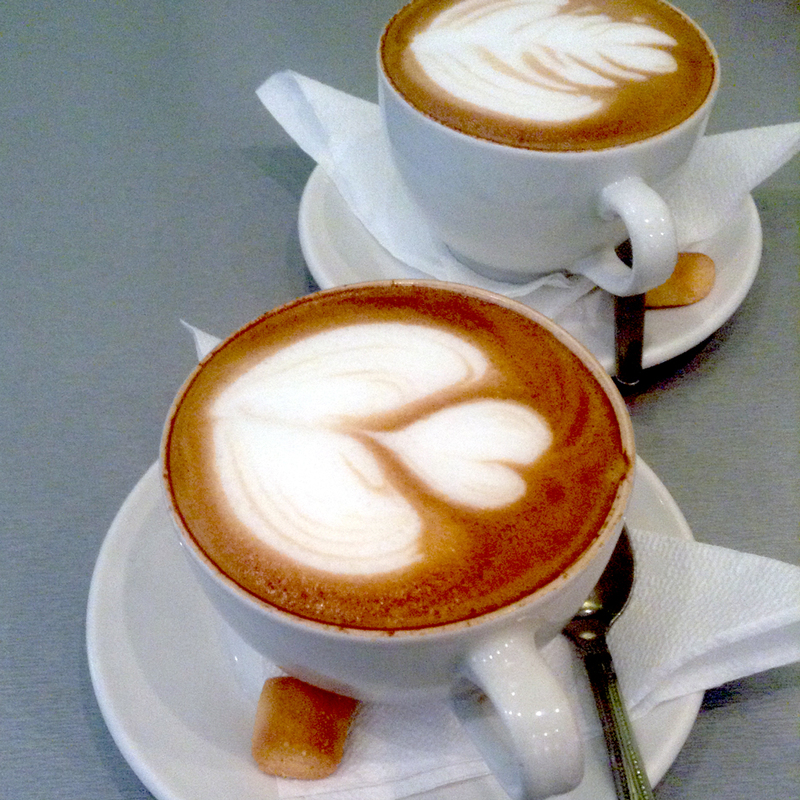 When our cappuccino arrived and saw which cup was offered between us, we all broke out in a hearty laugh. 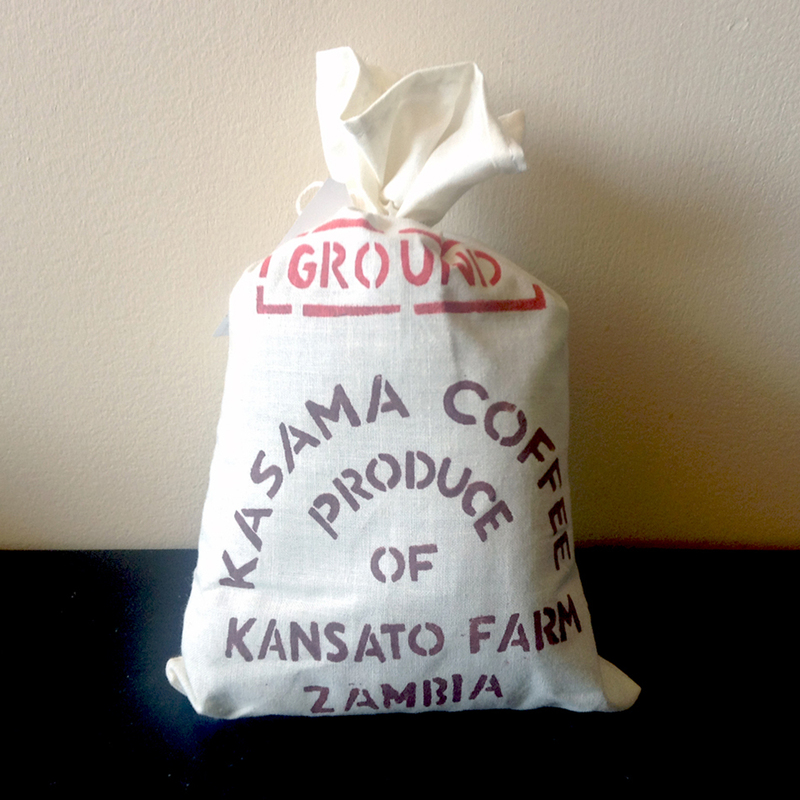 Souvenir from Zambia—Kasama Coffee, Kansato Farm. Medium roast yet potent. 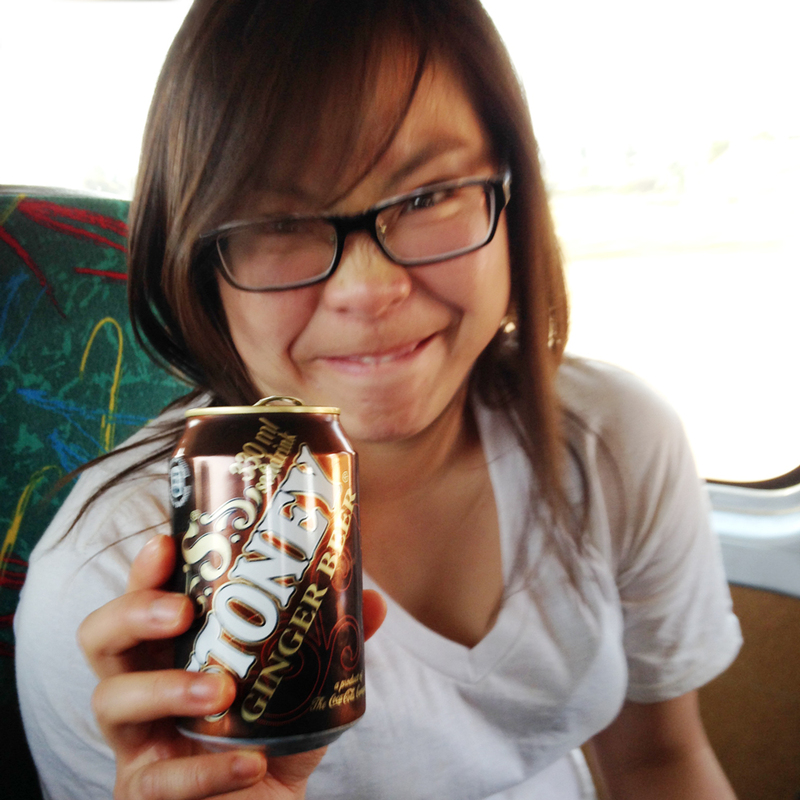 When we were there I have also tried the Stoney Ginger Beer (a Coka-Cola product available there) and Mosi Beer. After a long day of service in the communities and in the commute back to Kachele Farm, Stoney’s robust ginger taste deﬁnitely hits the spot. Stoney’s is the teams’ favorite beverage discovery. 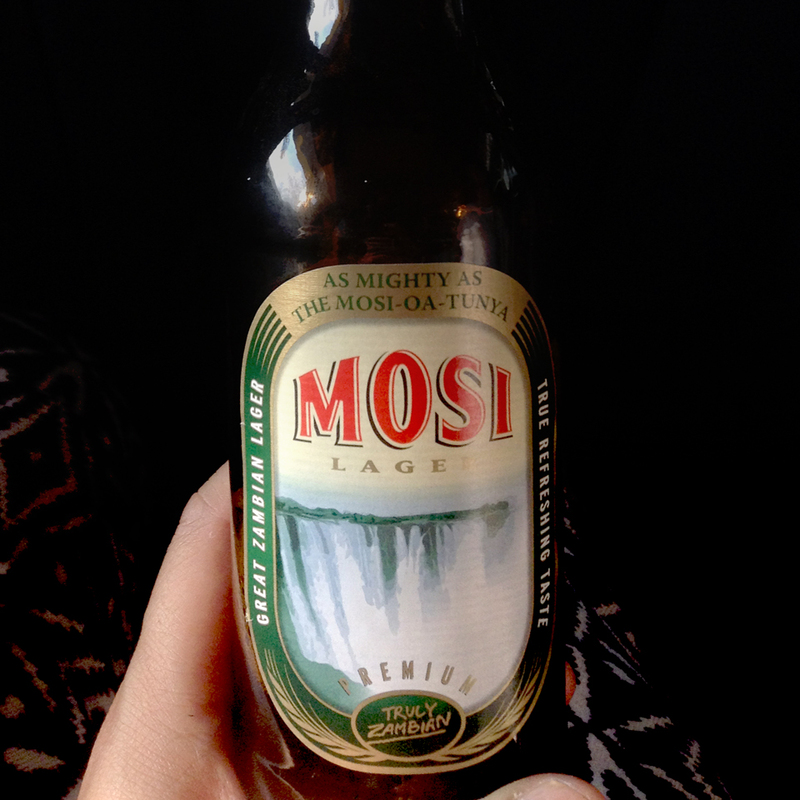 Mosi, brewed in Zamba and real beer. Don’t let Ichemwemwe go near it! 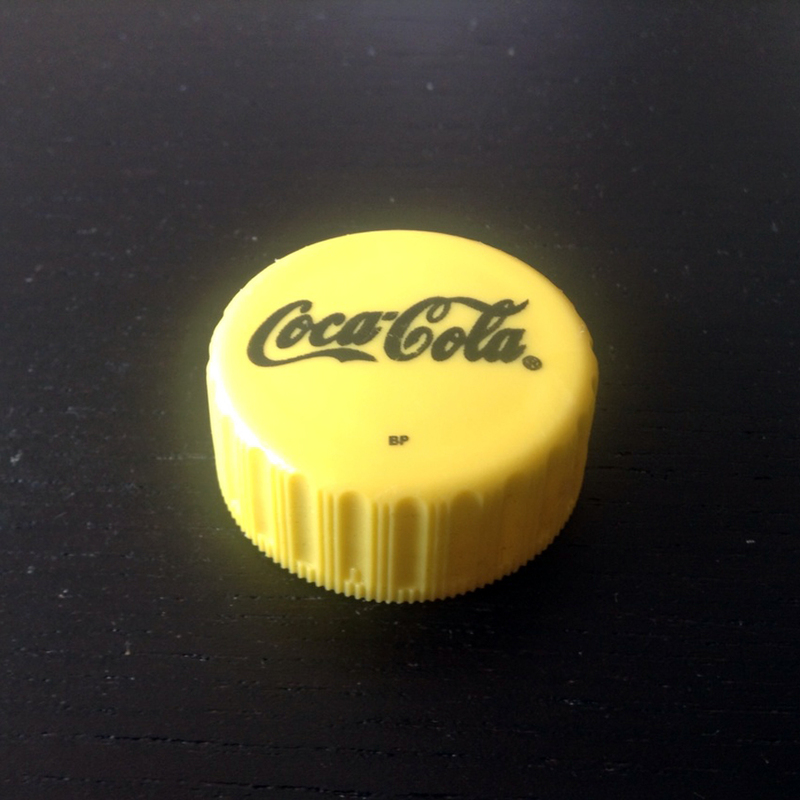 First time I have seen Coca-Cola using bright yellow for caps. Its certainly off-brand. Tastes much sweater than the Coke in the US too.